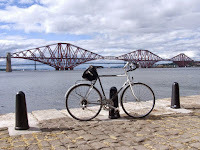 We specialise in fully supported day trips and cycle tours in Scotland. As a small company we can provide flexibility and tailor tours to meet your cycling holiday needs. We provide tours in areas of Scotland which we think make fantastic cycle trips. Our tours are supported with a guide and a bike mechanic giving you the luxury of focusing on your holiday.